We researched how these cameras enable you to look after a property more effectively. Something as simple as idetifinig heat lost due to poor window seals or HVAC duct issues can help minimize damage to homes and save home owners thousands of dollars over the life of their home. Here’s how. How do You Use a Thermal Camera for a Home Inspection? Reporting: On the Go or Via PC? The name is fairly self-explanatory: A thermal camera is embedded with technology that identifies certain temperatures. It provides you with an image that shows the temperatures of the area it’s aimed at. The camera scans the infra-red light emitted by objects in the room. This is turned into a temperature pattern or thermogram, seen as a clear, color coded picture. The different temperatures are shown as different colors so the user can identify where heat is coming from. But why is heat so important? Mold growing in a corner will emit heat. You can locate it with one of the best IR (infrared) camera units reviewed below, even if it’s inside the walls. Looking at temperatures in a room can tell you about energy waste, such as areas not affected by air conditioning, also called thermal bridges. Moisture will take longer to cool down than the surrounding areas of a wall or roof. At night you can look for these warmer spots to identify leaks. You can see overheating circuits, fix the wiring and prevent power surges or potential fires caused by overheated outlets or sockets. If you suspect problems in your pipes you can locate them behind walls or panelling without damaging the structure. See where the problem is and only open up the wall or roof in that area. All this thanks to a compact but very advanced thermal camera. The best infrared camera for home inspections can help prevent health problems, but it’s also important to ensure homes and buildings are structurally sound & safe for use. 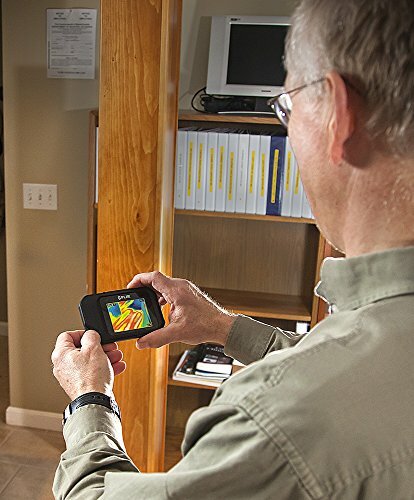 Are you looking for the best infrared camera for home inspectionsfor your own use? Let’s help you pick. Here you need to start with the important question: What will you use it for? Of course, it’s ideal to have high resolution images. This will give you a much clearer idea of where the problem is. However, this means you’ll pay much more than when you pick a lower resolution thermal camera. The general consensus is that lower resolution machines are more than adequate for use around your home. If it’s simply part of your general maintenance process, don’t spend too much money. You’ll work faster, more effective and you won’t miss problems that could lead to expense for you or your clients. For this application you can look for 320x240 infrared resolution. 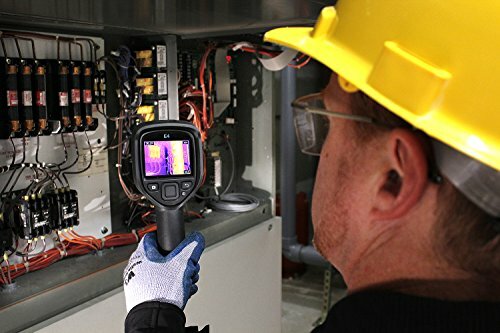 Many thermal cameras provide you with images on the go: you can see the problem while walking around the room by looking at the cameras screen. This is user friendly, but if you’re using this in your job you may want to take it up a level: take it to your PC. With the right software you can take the image from the camera to your computer. With the dedicated software programs you can make adjustments, create reports for clients, add text and design a user-friendly file or document. This is how you can look ultra-professional in the service you provide. This may be overkill for use at your home though. Most FLIR thermal cameras come with their report generation software included which is a plus. Good news is that some models have Wi-Fi capabilities. This will make it easier to share the data so you don’t need SD cards or other methods. Now you may even find thermal cameras you can attach to your smartphone. Ready to find yours? Be clear on what you need it for and then pick from this list. This is one of the items with higher resolution as you can enjoy 320x240 thermal images. The impressive approach of FLIR is to add digital camera features to thermal imaging. This gives users very clear pictures, so they know exactly how to address the problem. This one has a 45°x 34° field of view and operates in 5°F - 122°F temperature range while having a temperature detection range of–4°F to +482°F. The latter isn’t the best in the field; it may not be adequate to use in some professional applications. However, it’s still impressive. FLIR E8 comes in a sturdy case which makes it practical for regular use; carry it with you without fear of damaging it. 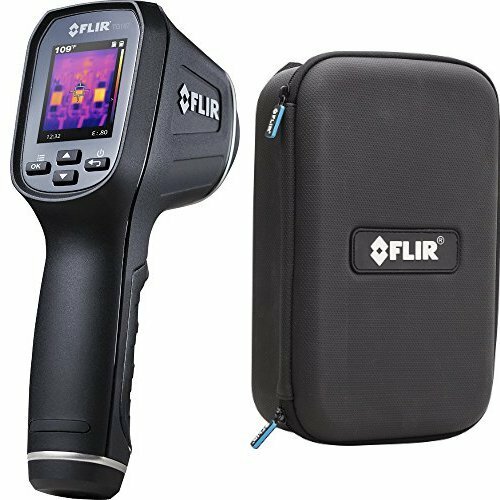 This spot thermal camera also comes in a handy protective case, but what impresses is the temperature detection of range: -13°F - +716°F. This is how you can give professional service as it’s appropriate for temperature ranges you’ll find in large industries such as factories too. Best of all is that you can work from a safe distance while getting accurate readings. The resolution isn’t great though, only 80x60, so you won’t see the background as clearly or image details. Technically it’s an spot thermal imager, and not a camera. If you’re shopping on a budget, this one is ideal though. You can move data from the unit to your computer via SD card or USB but note this one isn’t Wi-Fi enabled. The unit will store the images, so you can retrieve them later. We’re quite impressed with the brand’s effort put into designing accessories. This is bound to be used on construction sites; FLIR incorporates a special zipper design to help keep out dust so your camera stays in pristine condition. You also get a lanyard to carry it on your wrist, so you won’t drop it while working. This is not the most ergonomic model on this list as it doesn’t have a nifty handle. However, the technology is advanced, you have Wi-Fi connectivity and the touch screen makes it easy to use. We are impressed with its portability though as it’s small enough to carry in some clothing pockets, measuring 3.1”x 1”x 4.9”. A lanyard is supplied to prevent accidentally dropping this more expensive model. It only weighs 4.8oz and you can mount it on a tripod so users’ shaking hands won’t affect the picture quality. It has FLIR’s MSX technology that combines digital camera images with the thermal data. This makes for clear pictures of the area you’re investigating. Your purchase includes reporting software which is an investment for users that acquire this for professional application. 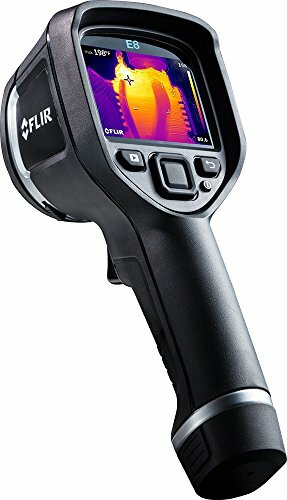 Just know the temperature detection range of the FLIR C3 is 14°- 302°F; that’s acceptable but not exceptional. This is one of the most recent developments in this niche: why purchase an entire gadget if you can transform your smartphone into a thermal camera. 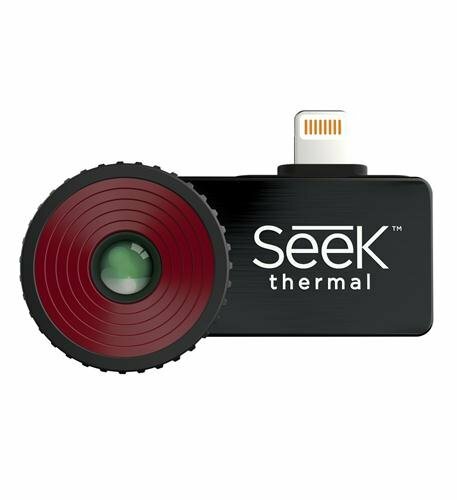 This Seek model attaches to a phone and uses its own as well as the phone’s processing power to create the thermal images. You can also record these images on your smartphone to use for personal reference or professional reporting. It weighs 8.8oz so it’s not too uncomfortable to carry around and measures at 3”x 2”x 7”. For a gadget that’s technically a phone accessory it has surprisingly high thermal resolution of 320x240. It’s also reasonably priced. Just note that these models are operating system specific: This model works for iOS and there is a separate model (same specifications) for Android users. Now it’s time to pick yours. You may discover your new favourite pastime as some consumers find it fascinating investigating their own - or their neighbours’ homes for problems. Even if you go a bit overboard with your new hobby, at least you’ll know when there’s risk or danger you need to take care of. And for professional applications, few building service providers can do without one these now a days. It’s how you stay one step ahead of the rest and potential problems. 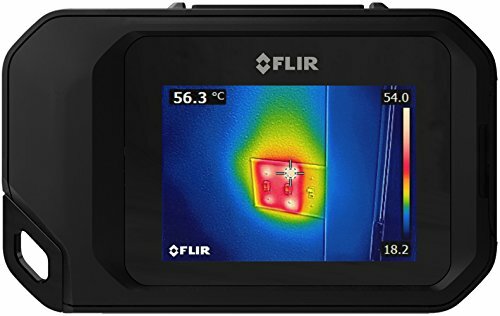 Now go get your new favourite thermal camera for home inspections.